Backed by the profound experience of the market, we have been able to provide a range of Recessed Filter Plate. Used for different types of constructions like plate and frame, membrane plate and caulked & gasketed, this plate is manufactured under the guidance of our professionals using advanced machinery and premium quality components in line with set industry norms. Furthermore, the offered plate is tested against various quality parameters to ensure that defect free range is delivered at clients' end. Being one of the reputed organizations operating in this domain, we are engaged in offering a quality range of Membrane Filter Plates. We use only well-tested components and modern technology while manufacturing these plates. 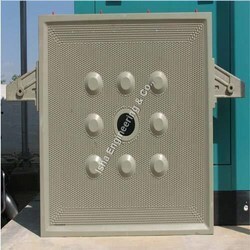 Moreover, we offer these plates in various specifications and customized options as per the requirements of our clients. The offered plates are generates higher filtration productivity through reduced cycle times, dryer cake and more efficient washing. Filter Plates offered can be made available by us in different construction choices like recessed, plate and frame, membrane plate, caulked & gasketed among others. 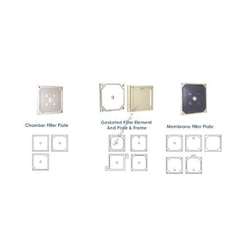 Also coming with wash/non-wash option, these filter plates come with different feed eye options and are suited for use in high pressure applications Some of the advantages these filter plates provide include ensuring less moisture content in cake, allows for lesser cycle time, allows for efficient washing, low feed pressure & high filtration capacity, suitable for handling solid-liquid separation processes in industry sectors like sludge, wastewater, mining, chemical, food, pharmaceutical and other areas. 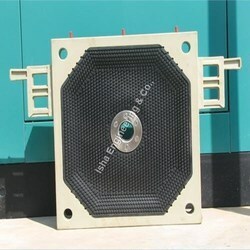 Looking for FILTER PLATES ?